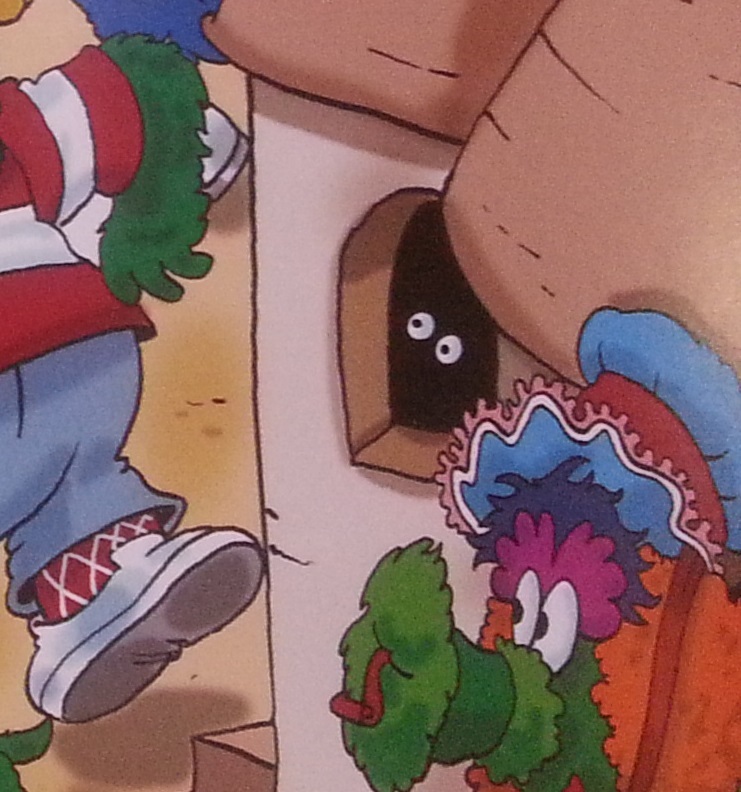 I haven’t abandoned hope on trying to find out the identity of the Phillie Phanatic’s phather. After examining the possibilities of Bill Giles, David Montgomery, Gary “Sarge” Matthews, Tim McCarver, and Mr. Snufflelupagus, the trail seemed to have died a year ago. 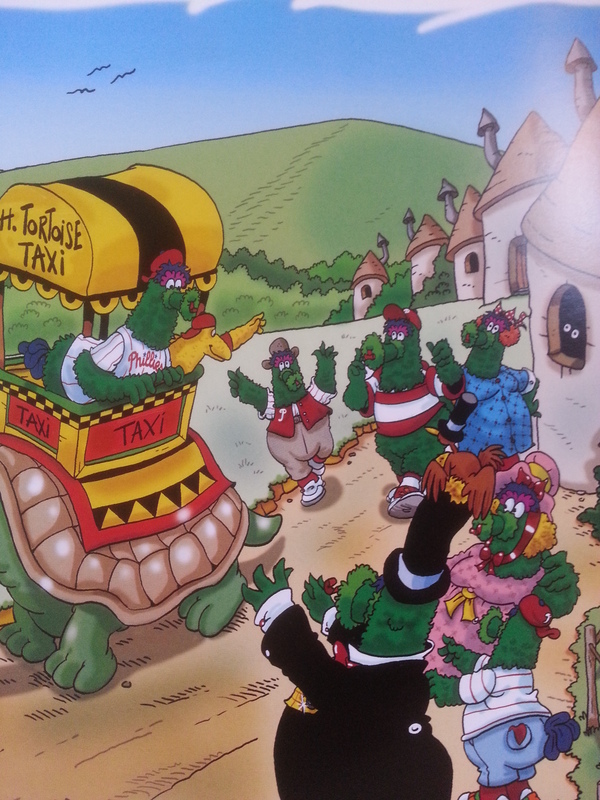 However, it was renewed again yesterday as I read Tom Burgoyne and Len Epstein’s book, The Phillie Phanatic’s Galapagos Islands Adventure, to Baby Phan One. Look at this picture from when The Phanatic visits his motherland of Phanatic Town in the Galapagos Islands. Do you see him lurking in the shadows? Do you see him viewing The Phanatic from afar?? 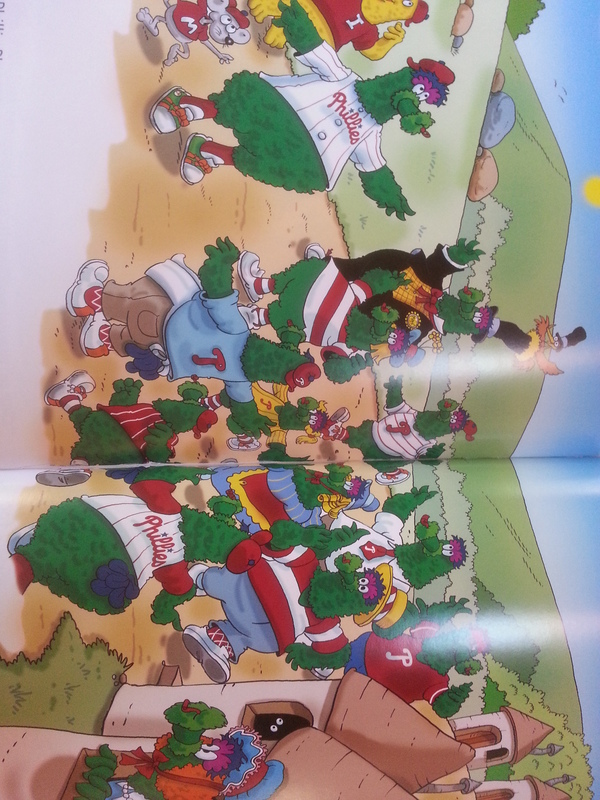 The worst part in all of this was that The Phanatic was so close to learning the truth. Unfortunately, the continued cowardice of his phather prevented this from happening. I am determined to find the truth. It’s what The Phanatic deserves. This entry was posted in Phanatic's Phather Search and tagged deadbeats, Galapagos Islands, Phanatic, phather, Phillies, search. Bookmark the permalink. I agree. However, if she doesn’t even know. SMPhH. No wonder she ran away to the United States.